BRYAN EATON/Staff photo. 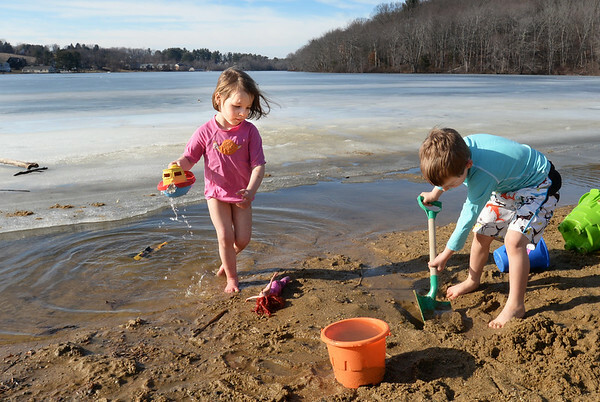 The fact that Lake Gardner in Amesbury is mostly covered in ice seems to be lost on Laura Lindenmayer, 4, left, and her brother Pax, 6, who were having a grand time playing on the beach. Their mother Ellie was thinking about going to Salisbury Beach, but they like Lake Gardner.